San Gabriel, Los Angeles County California Car Accident Lawyers with Over 40 Years of Experience and Success Rate of Better Than 95%! San Gabriel, Los Angeles California car accidents cause overwhelming problems for victims and their families. Injury accidents in the City of San Gabriel cause serious injuries, substantial property loss, and sometimes even deaths with wrongful death claims. Our San Gabriel wrongful death, car accident personal injury claims attorneys have a success rate of better than 95% in resolving thousands and thousands of personal injury and wrongful death accident cases in San Gabriel, the San Gabriel Valley, Los Angeles and throughout California. 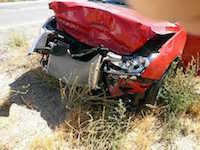 Having more than 40 years of intense experience in handling and settling many thousands of car accident, truck accident, motorcycle accident and other serious injury accident claims, we are a group of accident claim lawyers offering our legal services for San Gabriel, San Marino, Temple City, Rosemead, Alhambra, Dragon Slide, Grapevine Arbor, Ramona Parlor and other places near and around the San Gabriel Valley and Los Angeles County. Our experienced and skillful car accident injury lawyers know how to handle car accident cases, from getting damaged cars towed and repaired to settling total loss claims to instant medical care without payment due until your case is resolved, to maximum settlements while providing legal advice and clear explanations of the claims process all along the way. To see what other say about our law corporation, please see our testimonial section. There are many time rules (including the California statute of limitations) and procedural rules (e.g., in car, motorcycle and truck insurance policies, the California DMV, etc.) so please do not wait and lose your rights. Too often potential clients contact us AFTER the California statute of limitations has passed and there is nothing anyone can do to help them. Please do NOT let that happen to you – Please contact us today at 818-222-3400 or 1.866 INJURY 2 (after hours just dial “1”) for your FREE & CONFIDENTIAL consultation and case evaluation. Our attorney consultation is FREE and if we take your accident case, our San Gabriel injury attorneys work on a contingency fee, which simply means there is NO fee to you until you WIN! Our San Gabriel car accident personal injury & wrongful death accident lawyers are understanding and sympathetic towards our clients, yet extremely aggressive against the responsible parties and their insurance companies. Medical Care: Serious injury car accidents in San Gabriel and all around California often leave victims dealing with serious injuries that require timely care, physical therapy, and medical treatment. The accident lawyers at our injury law offices help our San Gabriel clients obtain medical care, including doctors, specialists such as orthopedic and plastic surgeons, neurologists, dentists, and psychologists, usually without any payment due until their claim is resolved. Moreover, clients can receive help with medications, prescriptions, X-Rays, including MRI and CT scans, again usually with no payment due until their claim is resolved. Vehicle Repairs: San Gabriel car, truck, & motorcycle accidents can cause substantial damages to cars, trucks, and motorcycles, sometimes even total losses. Our San Gabriel accident lawyers and law offices help you with vehicle repair, storage, towing and if appropriate, total loss replacement and free car rental. Transportation to Doctor: Our San Gabriel car accident lawyers assist clients in finding doctors, arranging appointments and, whenever appropriate, arrange transportation for injured clients to and from the hospital, medical clinic and other doctor and physical therapy appointments. If you need any kind of help with the transportation, just let us know. Cash Advances/Emergency Loans: San Gabriel car accidents can reduce your finances especially with unexpected medical bills and added expenses to take care of at a time when you may miss work and suffer a loss of earnings. We understand this. Our experienced San Gabriel car accident lawyers and law offices will assist you in receiving appropriate loans and advances to cover those additional expenses. If you have been involved in a San Gabriel or Los Angeles car accident or any motor vehicle collision, call us right now for your FREE & CONFIDENTIAL car accident personal injury advice. Simply go to our contact us form and tell us about your car accident case or any other injury accident case you had. Remember, our car accident injury lawyers offer FREE legal consultations and evaluations on San Gabriel, Los Angeles and California car accident claims and wrongful death cases, and treat our clients’ cases with utmost concern and priority. If we take your accident case, we do so on a contingency fee – which means there is NO fee until you WIN! San Gabriel is a wonderful city in Los Angeles County, California. 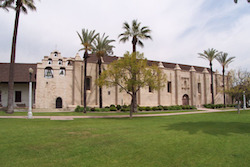 It is named after the Mission San Gabriel Arcangel, founded by Junipero Serra. The city grew outward from the mission and it was in 1852 that it became the original township of Los Angeles County. 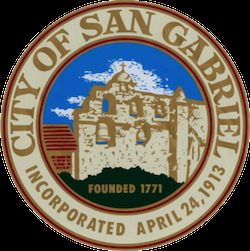 San Gabriel was incorporated in the year 1913. The city’s motto is “A city with a Mission,” and is often considered as the Birthplace of Los Angeles Metropolitan area. As per the 2010 census, the population of the City of San Gabriel was about 39,718. The city boasts a mixture of Asian, European and North American cultures. 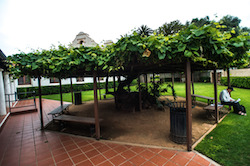 Prior to the arrival of the Spanish to Alta California, the area that is now San Gabriel was inhabited by the Tongva Native Americans, whom the Spanish called the Gabrieleno. According to the United States Census Bureau, the city has a total area of 4.1 square miles, virtually all of it land. The city is bordered on the north by San Marino, on the east by Temple City and Rosemead, to the south by Rosemead and to the west by Alhambra. This region experiences warm and dry summers. 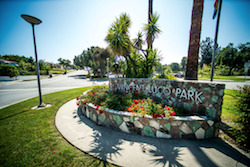 San Gabriel has a warm-summer Mediterranean climate. In terms of entertainment, San Gabriel has a 12 acre San Gabriel square mall which is sometimes referred to as the Chinese Disneyland. It was nicknamed by the Los Angeles Times as the great mall of China. This stretch of exotic Chinese shops and bold architecture with roofs of Spanish style tile is the model for the new ethnoburbs that are recently recognized in places like Las Vegas and Houston. In addition, the collection of restaurants and cafes, shops, markets, hair and nail salons, plus an extensive jewellery mart provides something for everyone. From purchasing expensive diamonds to shopping for designer and ethnic suits, this place has it all. Calvin Coolidge Elementary School, Roosevelt Elementary School, Wilson Elementary School, Jefferson Middle School, Del Mar High School, San Gabriel Mission School and a few more. Each of its public schools have been honoured as a California Distinguished School. 40 years experience and continuous membership with California State Bar. We are a father – son family law office, with the resources needed to handle your case. Selected as Best Car Accident Attorneys 2017, by Expertise. For an easy, free and confidential consultation, fill-in the details in our contact us form to let us know about your San Gabriel, Los Angeles or other California car accident claim or any other injury claim. Our consultation is FREE – and if we take your injury accident case we work on a contingency fee which means that there is NO fee until you WIN!